Richard Carleton, CEO of CNSX Markets Inc., at his Toronto office in November. Richard Carleton can't help but laugh when he's asked: "In 2014, how much did you know about pot?" The question isn't about consumption, but it still catches him off guard. A lawyer by training, Mr. Carleton, 57, has spent decades building a career in the financial exchange business. Today, he runs Canadian Securities Exchange (CSE), a stock market for early stage companies. Cannabis is a new talking point for him. "I didn't know a lot" about the marijuana business, he says as his laughter subsides. "I didn't know that it was going to be a public-markets story." That story started in 2014, not long after the federal government unveiled new rules for the commercial-scale growth and sale of medical marijuana. A wave of new cannabis companies applied to Health Canada for licences to produce the drug. All they needed was money. But banks wouldn't lend, few angel investors would put up cash, and TMX Group Ltd., which owns the two dominant stock markets in Canada, refused to list their shares unless they had a licence – a process that required growing facilities to already be built and inspected. Enter the CSE. Three years later, the "C" in its name might as well stand for cannabis. Fifty-three of its 352 listings, or 15 per cent, are marijuana companies, as of Dec. 11. But those stocks accounted for nearly 65 per cent of all the trades it handled in November. And now, Mr. Carleton and the CSE have been handed another chance to grow by its chief rival. In October, TMX formally banned marijuana firms with assets in the United States, where the drug is legal in some states but illegal at the federal level. Companies deemed to be violating U.S. federal law are prohibited from listing their shares on the Toronto Stock Exchange (TSX) and the TSX Venture Exchange (TSXV). Both markets say they are launching a review of existing issuers and will delist any found to be offside their rules. For the 14-year-old CSE, this could be the opportunity of a lifetime. When companies get too big for the CSE, they typically graduate to the TSXV. If companies stick it out on the Venture long enough – and grow their market caps large enough – they'll eventually get the call to the big leagues: the TSX. Since 2007, more than 320 companies have got that call. The TSX, whose roots as a stock exchange predate Confederation, is where shares of the country's largest public companies are housed. In recent years, newer stock markets such as CSE have struggled to make a real dent in the TSX, and have mostly failed to attract the high-profile issuers and deep-pocketed investors. But the U.S. cannabis ban by TMX is breathing life into the CSE as a growing number of CSE-listed issuers can't get the call to the TSXV or the TSX. As a result, the CSE is playing host to companies with market valuations that would have been unfathomable a few years ago. Of the 53 cannabis issuers listed on the CSE, 17 have businesses or assets south of the border. The market caps of these 17 companies represent about one-quarter of the entire $8.5-billion on total market cap of all companies listed on the exchange. The largest is a newly-public grower called CannTrust Holdings Inc. Since making its debut in late August, its shares have sky-rocketed by more than 200 per cent amid a steep rally across the sector, pushing its market cap north of $700-million. Early last year, prior to the rapid run-up in marijuana stocks, the largest company on the CSE was valued at slightly more than $100-million. The cannabis sector as a whole is picking up steam as companies jockey for position ahead of Canada's planned legalization of the drug for recreation use in July. Applications to list on the CSE are piling up, Mr. Carleton says. And marijuana stocks are changing hands at a frantic pace, pushing the CSE's daily trading volumes to new highs on 14 separate occasions in November. But opportunity breeds competition. Neo, the upstart market with no corporate listings today, wants to fill the void left by TMX and is targeting larger-cap marijuana stocks – including those with interests in the United States. The CSE finds itself in a race to make the most of the marijuana boom. It's a chance to become something more than a minor-league player on Bay Street. But will the cannabis craze offer the path to the big leagues or will new competitors, a maturing industry and changing perceptions of pot eventually leave the CSE in a familiar position – stuck near the bottom of Canada's stock-exchange hierarchy? Ian Bandeen is stunned by the recent surge in trading on the CSE, the company he co-founded in 2001. On Nov. 28, for example, a record 327 million shares changed hands. To put that in context: It was just this past June that the CSE hit a single-day record just shy of 78 million shares traded. When he digs deeper into the CSE's order book, Mr. Bandeen, who is now a consultant and is no longer with the CSE, finds that the list of brokers reads like a who's who of Bay Street. Indeed, the market, which became an exchange in 2004, has come a long way. For years, it's flown under the radar; now, cannabis is putting it on the map. The CSE was started with the goal of making the process of going and being public simpler, cheaper and faster for early stage companies. It was created at a time when investors were starting to use the internet to research stocks and execute trading orders. "We made the rules and policies clear, effective and easy to understand," Mr. Bandeen recalls. "This is in marked contrast to some incumbent equivalents, which are laden with historic compromises and unwritten policies and that are sometimes described as a twisted mess that only a securities lawyer could love." By the time the CSE came on the scene, the Canadian market had already undergone some major changes. In 1999, the stock exchanges of Vancouver and Alberta merged to form the Canadian Venture Exchange (CDNX) for junior equities. The TSX became the sole market for senior stocks, while the Montreal Exchange become the centre for derivatives trading. The CDNX merger of the Vancouver exchange, which was infamous for being a haven for financial scams, and Alberta was a way for these smaller venues to gain scale and cut costs overnight. Then in 2001, the TSX acquired CDNX and, in 2002, it renamed it the TSXV and tried to clean it up. That year, the TSX went public, becoming the first exchange in North America to do so. The CSE was like David winding up to take a shot at Goliath, but in its first decade at least, it struggled to finds its footing. "At every turn, we've had to assume that there will be people who are against us and quite willing to throw up barriers – real or imagined – to hold us back," says Mr. Bandeen, who still owns a stake in the CSE's parent company. "That's just the way it has been right from the get go." It took four years for the CSE to establish a roster of at least 100 listings. William Woods, who was brought in as managing director to grow the CSE's listings business between 2007 and 2012, thought the CSE could amass 1,000-plus stocks during his tenure. Five years after he left, it's still nowhere near that mark. "We had a considerable amount of success, but not as much as I would have liked," Mr. Woods says. "I think we felt that 500 was a real critical-mass number. And they're heading toward that very quickly." The expansion of the CSE has come as the universe of publicly traded small-caps is shrinking. Since 2008, the financial crisis, mining crash and oil glut have made it hard for small-caps to raise cash. The number of TSXV issuers has been declining since 2012, falling from 2,258 issuers then to 1,648 in December, 2016. The CSE remains minuscule by comparison. Today, it has a staff of 42 people and, for its own operations as a private company, has raised just $42-million in capital since inception. Veteran Bay Street broker Thomas Caldwell is chair of its board. He owns 49 per cent of the CSE through his company Urbana Corp. He and deputy chair Ned Goodman, the founder of Dundee Corp., approach the role the CSE plays in the Canadian market "with an almost evangelical fervour," Mr. Caldwell says. The two men want to create a market that helps early stage Canadian companies raise the money they need to grow. "I always say Canada is a good country to start a business. But it's not a good country to build a business," he adds. "So companies end up selling out." He says that the CSE, as with the issuers listed on it, has been in the same boat. It has declined several takeover offers from U.S. market operators. Ask Mr. Carleton whether he ever thought marijuana would be the industry that fuels the CSE's growth, and he borrows a line from Mr. Caldwell. "In any startup business, you just don't know what the thing that helps you really get over the hump will be. You don't know," Mr. Carleton says. "His counsel to me and the team here is just survive, keep going, keep your head down. You may not plan for [that thing] or see it coming, or have appreciated it at that moment, but it'll happen if you hang in there." Beyond the lift in trading and listings, cannabis is also bolstering the CSE's profile, and reshaping how people perceive the market and what it can do. "Once you have wrapped your head around investing in marijuana in general, then investing in the U.S., if you're willing to do that, you're willing to trade on the CSE," says Vahan Ajamian, an analyst at Beacon Securities Ltd. "It's not so much exchange-driven any more. If I am willing to invest in U.S. cannabis stocks, [the CSE] is where I go." And the CSE's position was emboldened in October when securities regulators in this country said cannabis companies with assets in the United States can raise money in Canada's public markets, as long as they disclose how they comply with the laws of the state in which they operate and also what legal risks they face at the federal level. But the CSE won't have the U.S. marijuana market to itself forever. Neo, that other, much newer stock exchange, wants a piece of the green rush. For its part, Neo says it is willing to list the shares of companies that do business in the U.S. cannabis market, as long as they are a certain size and meet other listing requirements, as well as abide by the disclosure rules set by regulators. While the exchange, which launched in 2015, is home today to a few dozen exchange-traded funds, it is still looking for that elusive corporate listing. Last month, an investment fund that seeks to buy other cannabis companies, including those in the United States, applied to list on Neo and raise $125-million. "We're open for that business," says Jos Schmitt, the chief executive of Neo. "We wouldn't have the slightest issue to list them on our exchange. What would be a reason not to?" Neo is backed by a group of blue-chip financial institutions that have largely stayed away from the cannabis sector, such as RBC Dominion Securities Inc. RBC says it doesn't do business in the marijuana space and declined to comment on the possibility of Neo doing so. But Mr. Schmitt insists that his investors' aversion to the sector won't stop Neo from pursuing these companies. "We're not here to execute what one or several board members want for their organization," he says. "The board members are there to support and take decisions that are in the best interests of the company." Neo is trying to position itself as an alternative to the TSX for larger listings; one of the key metrics it uses to assess listings applications is whether the company has a market cap of $50-million or more. But here is where the usual pecking order of Canadian stock markets is being dismantled: While the CSE is identified with small stocks, it is showing with its cannabis listings that it can handle much larger securities – and that investors are going to the market to trade them in high numbers. Eleven of the 17 issuers with U.S. cannabis exposure on the CSE have a market cap of at least $60-million, as of Dec. 11. There has been a flurry of activity in those stocks. From July to October, about 394 million shares in those dozen companies changed hands, according to data compiled by the CSE. In November alone, 566 million of these shares were traded. CannTrust is the largest. "Our investors are buying what we're delivering," says Eric Paul, CannTrust's CEO. "They don't really care which exchange we're on. They just want shares." Other companies aren't so sure. Marc Lustig, CEO of CannaRoyalty Corp., which is making a push into the cannabis market in California and has its stock listed on the CSE, says its shares would be worth double or more and be traded five times as much if they were listed on either the TSX or TSXV. "That has been a source of frustration that I can't deny," he admits. "They are working through the perception issue that exists. I don't think you can change that overnight." 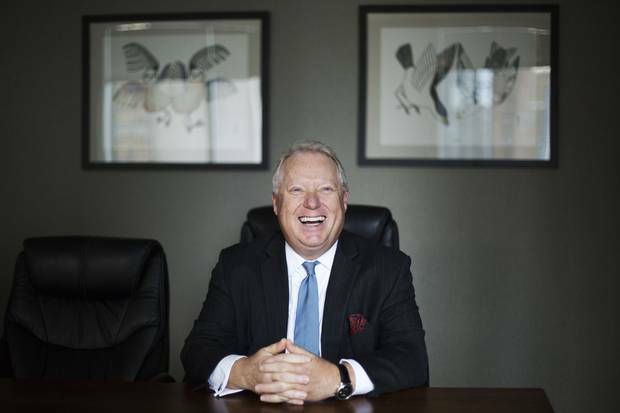 Sean Dollinger, the CEO of another CSE-listed company called Namaste Technologies Inc., is getting "a lot of pushback" from larger asset managers and has his sights set on graduating his shares to the TSXV. He says some equity analysts have told him that their firms won't cover stocks that are listed on the CSE "because their investors don't want to touch them." "I love the CSE. The guys are fantastic over there," he adds. "But no one really wants to hold CSE stock, for whatever reason. They say the regulations aren't as strict." Mr. Carleton rejects the idea that the CSE is less risk-adverse than the other markets in Canada. "We're faster, which I'm not going to apologize for, but this notion that we're more permissive or more lax? No," he says. TMX, for its part, says many of the companies listed on the CSE don't actually meet the initial listings rules of its two stock markets. They tend to fall in short in areas such as the legality of their operations, the suitability of officers and directors, and how much working capital they have on hand, TMX spokesman Shane Quinn says. "Interestingly, we are seeing many companies graduate to TSXV from CSE once they have risen to meet our minimum listing requirements, including 15 over the last two years," he adds. Other companies say they wouldn't be where they are today without the CSE. Supreme Pharmaceuticals Inc. is one of the applicants that listed on the CSE in 2014, giving it access to capital it couldn't source on its own, CEO John Fowler says. He began his business with a handful of people, an application for a licence and a plan. Just three years later, he heads up a $400-million company with 130 employees, a grow-op on the shores of Lake Huron in Kincardine, Ont., and now has a stock listing on the TSXV. "We had a good run on the CSE. I'll be eternally thankful," Mr. Fowler adds. "For us, it was the right time to graduate." The CSE has given issuers the chance to raise money. Now it has to give them a reason to stay longer. "Companies feel like when they hit a certain level, they have to go to the TSXV," Mr. Carleton adds. "We have got to make them think otherwise." With its position on U.S. cannabis investment, TMX is doing the CSE a big favour in that regard. And Mr. Carleton is first in line to say thanks. At a Bay Street gala last month, he ran into Ungad Chadda, head of the listings business for TMX. Mr. Chadda has spoken on behalf of the TSX and TSXV about the ban on U.S. marijuana stocks. "I hugged Ungad the other day," Mr. Carleton says. "I did. I said, 'Dude, I love you, man!'"